It’s been a bit of a busy old week between Christmas and New Year what with one thing or another. There are 160 campers (maximum daily capacity) to deal with and all their associated queries, assistance and issues. And some of the camping set ups are quite impressive, this group of friends have their tents on the left with a corridor between their 5 gazebos all lined up in a row. And this is one set up we rarely see, a fence around their camp site, we are not sure if it is to keep their children in, or other people out! And we have had a few friends visit this week which has been wonderful. First there was Brian, a very dear friend whom we met on our very first week in our motorhome and subsequently met and travelled with him and his dear wife & best mate Marj who died at the beginning of the year. We had a few trips away together including the Wairarapa and Hawke’s Bay and to Cape Reinga and points in between before they sold their bus. It was a bit of a trip down memory lane reminiscing about places we had journeyed to and people we have met, and a bit of a tribute to Marj, an amazing lady who is greatly missed but remembered with lovely memories. The following day we had a visit from Jude & Shaun, friends from Tokoroa days who now live in Te Anau. 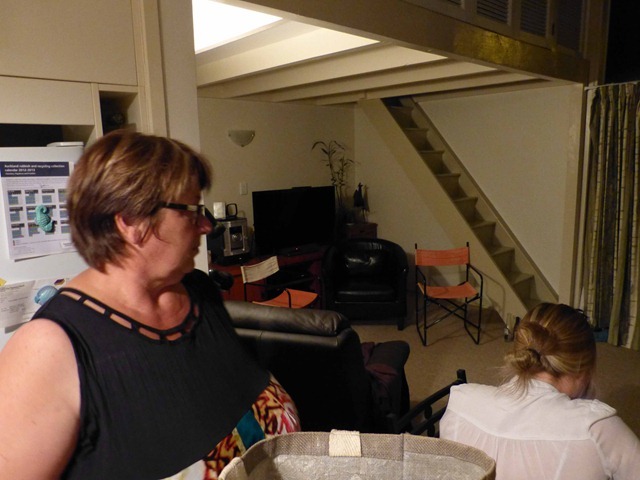 They were up in Auckland celebrating the festive season with a couple of their children who live here, and with their granddaughter who they are now raising after the tragic sudden death of their daughter Lesley. They are doing an amazing job and it was great to catch up, reminisce, then discuss and solve the problems of the world! Of course I neglected to take any photos of either visit! 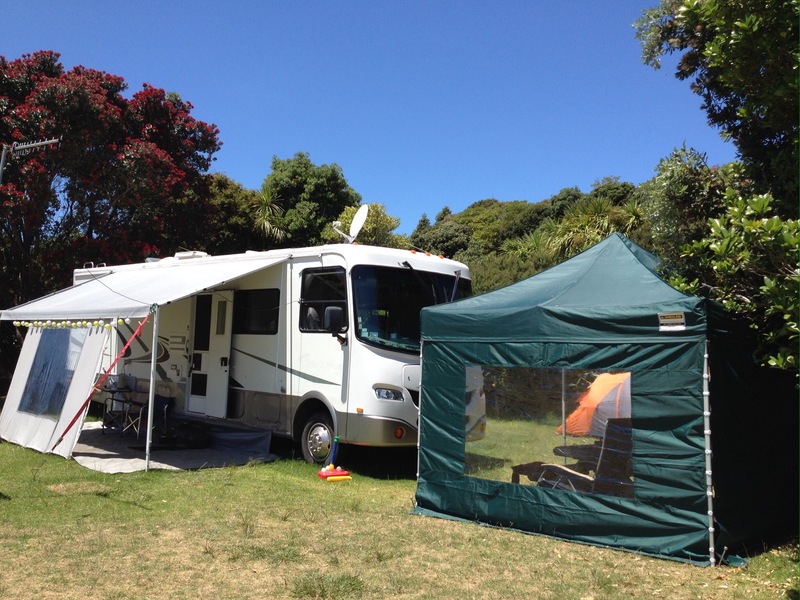 The next day Helen & Don (Oamaru) came in their motorhome to stay with us for a few days and to see the new year in. And this is the 2014 version!!! not a lot has changed! We have been very fortunate this year with many gifts given to us from grateful campers, we have enough chocolates and wine to last us quite a while, we even got some lovely solar powered Christmas lights from some, and the live crayfish from other campers was very gratefully accepted 😉. We would like to wish all our readers a very happy, safe, healthy and contented 2019 and we look forward to many more adventures to share. Cheers. It’s always interesting to look back to see what we have done over the past year, and this year has been just as interesting and as fun as ever. After finishing our camp hosting duties as Shakespear we headed off southwards to the southern most point on the North Island, extensively explored the Wairarapa, checked out every beach along the southern east coast and Hawkes Bay before heading north to the northernmost part of the North Island as well as points in between. We have met lots of new people, met up with friends both from long ago and more recent and from near and afar. We have wined & dined, from first class to basic with the most memorable meals being the ones shared with good friends. 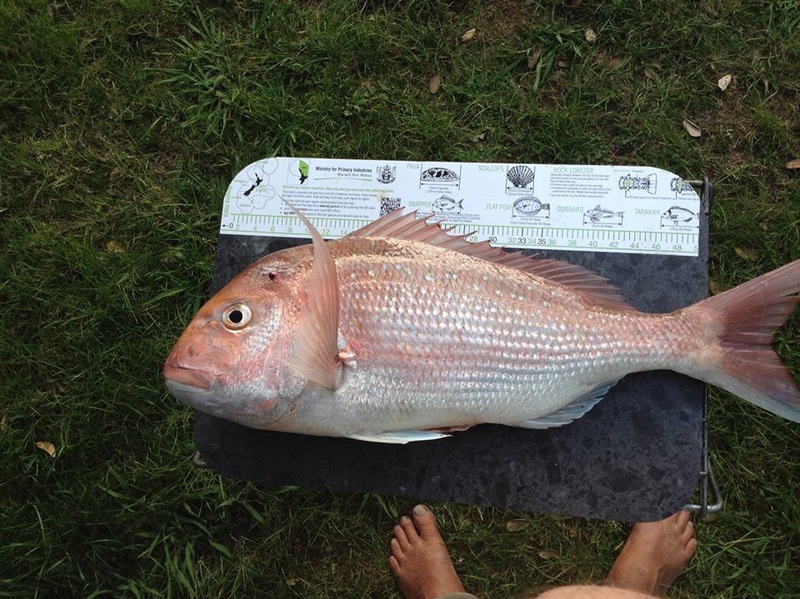 We have had great success this year fishing and catching, catching enough to feed us and to share with others as well as stock the freezer. We have met up with family along the way, not an easy task coming from a large family but we do try and keep in touch with all of the generations. We have welcomed a long awaited daughter for Roy’s son Simon & wife Anita, which makes that a total of 5 grandchildren – so far…..no pressure kids!! We also welcomed three other great nieces this year – at the last count we are up to 11 nieces, 3 nephews, 12 great nieces, 12 great nephews and 2 great great nieces and one great great nephew. Phew! We are both fortunate that we have experienced good health over the past year (long may it last), and apart from the odd accidental injury, our children and grandchildren are healthy as well. We bade farewell to some good friends over the year, we remember them all fondly and especially the memories we share. 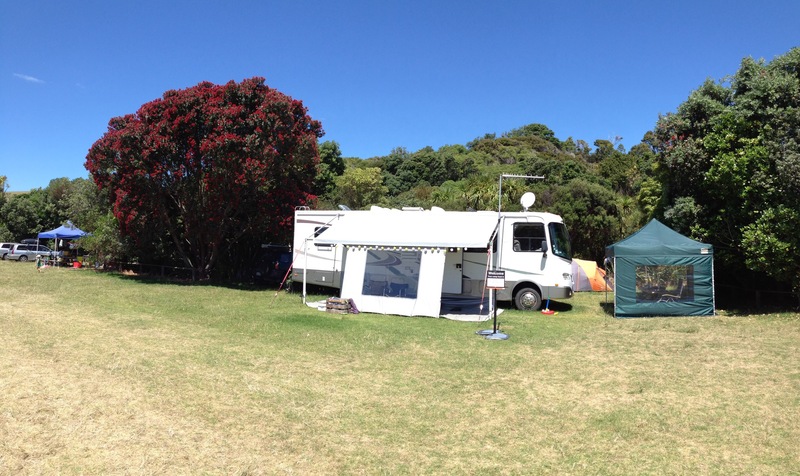 I’ll leave you with a couple of pictures of our set up this year at Shakespear, complete with our own Pohutakawa resplendent in all its Christmas colours. Here’s wishing you every good health and happiness and all the best for 2017. 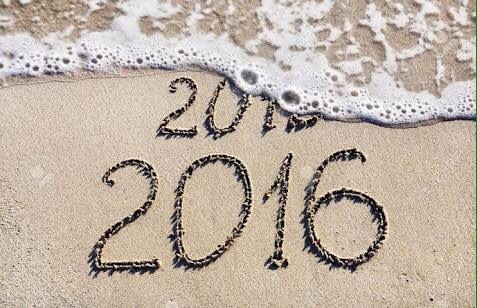 Best wishes for a healthy and happy 2016 to you all. 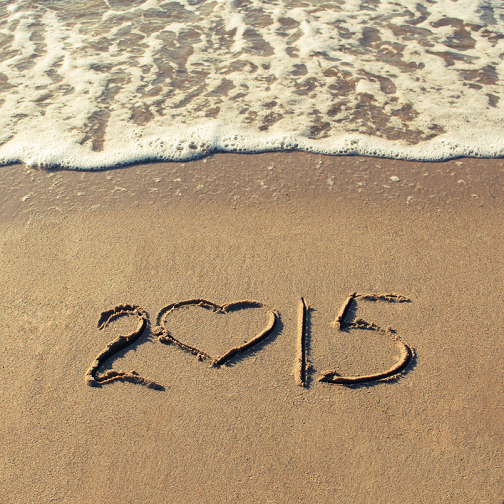 We look forward to lots of fun, family and travels in the coming year and wish everyone safe and happy times ahead. Do you remember the summers of your childhood when it was always sunny, the days were warm and you spent all day everyday at the beach? Well, it seems as though the start of this summer is panning out to be one of ‘those’ summers and long may it continue. It does not seem that long ago that we were welcoming in a new millennium, in just a blink of an eye it is suddenly 15 years on. 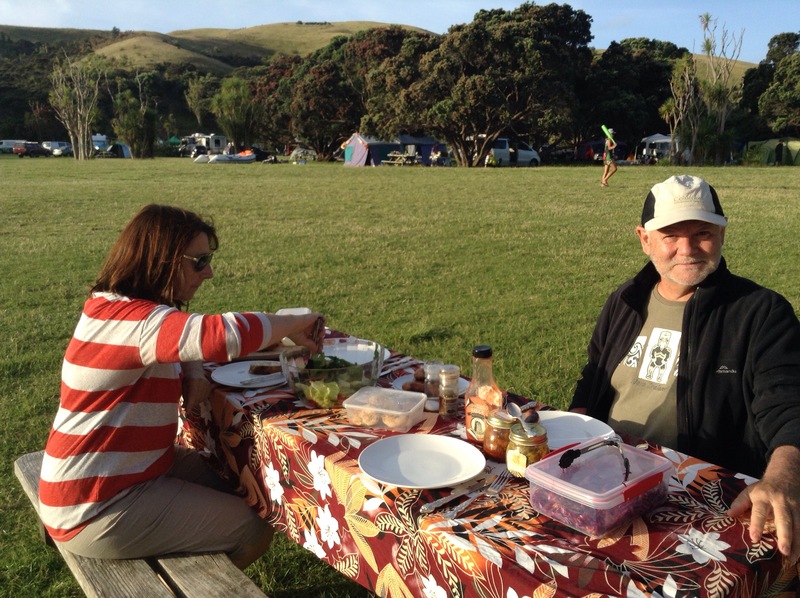 We spent the last few days of 2014 with Colin & Edwina who had come out to camp/chill out with us. We spent a delightfully relaxing few days with them, not achieving much, however we did go for a swim or two in the sea to cool off and to escape the gloriously fine hot days we are currently experiencing. We enjoyed their good company, good food and the odd tipple as well and look forward to them coming again soon. Then it was the turn of Helen & Don to join us for a few days. 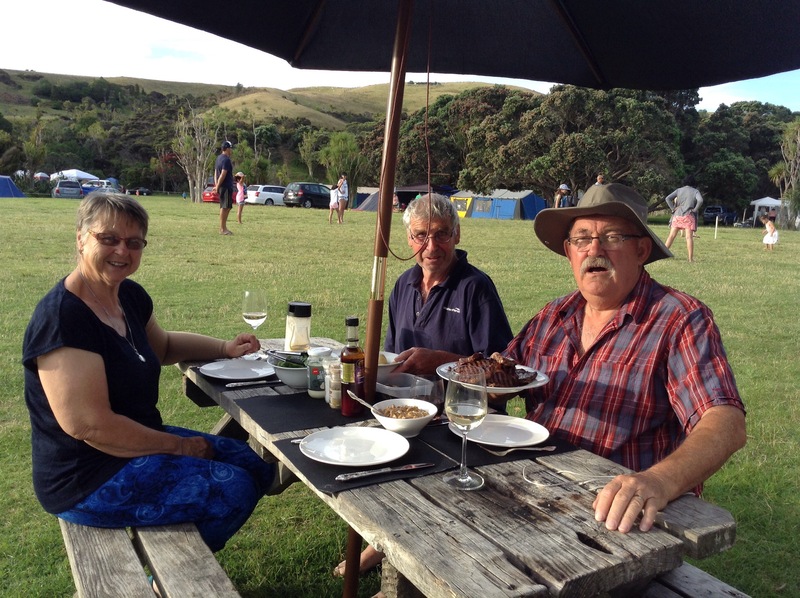 They had driven up from Oamaru in their motorhome so they could spend time with their family in Cambridge for Christmas, then they headed up to join us at Shakespear for a few nights and to see in the New Year. Again, we enjoyed their company, good food and drink as well as a few games of cards over the few days they were with us and look forward to them joining us again soon. Oh, and we all went swimming too, especially as the water was so warm as it came in over the hot sands, perfect timing for the tides with high tide in the mid afternoons. it seems as though we take a few photos around our table!! And it is amazing the things you learn. 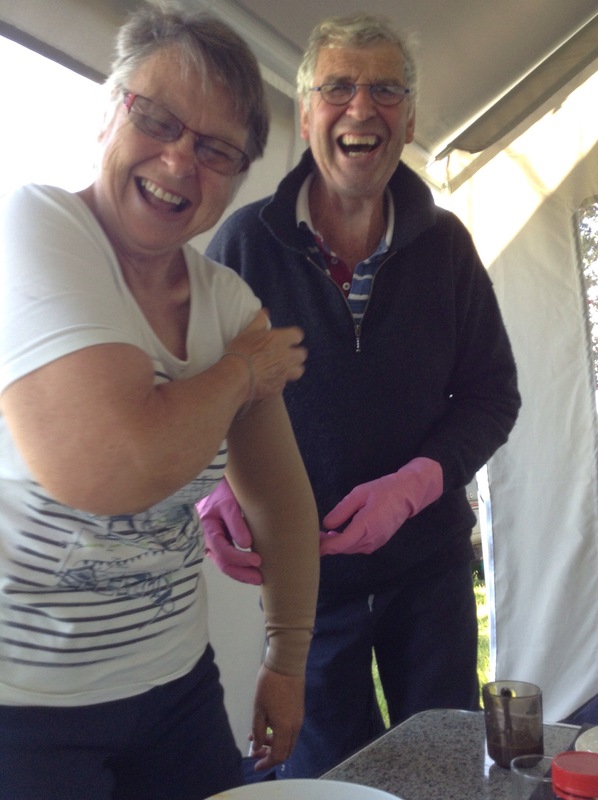 Helen has to wear a “sleeve” on one arm, one of the effects of breast cancer, and as it is a tight fitting elasticised sleeve, it it difficult to put on so Don has to help. BUT to make the job a little easier apparently it is much easier if Don wears rubber gloves to get a better grip on the sleeve….nice pink ones of course! 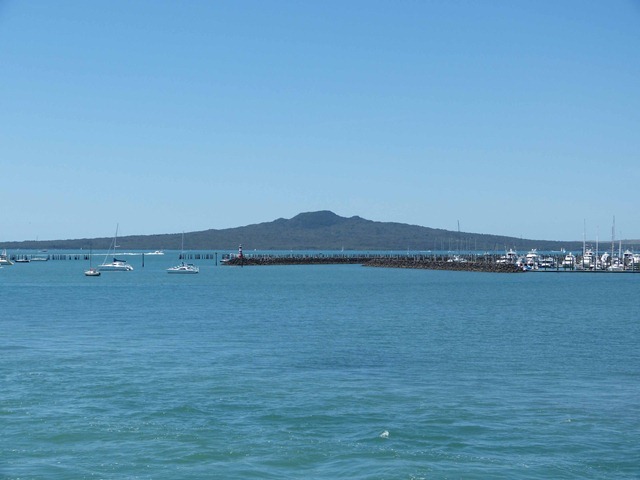 New Year’s Eve was seen in by sitting on the beach looking across the harbour to the Auckland Sky Tower and watching the fireworks display. Roy and I have settled into camp life quite nicely with the camp full to capacity (160 campers) every day. Our role is just to meet & greet people and make sure they are aware of the facilities and ensure all runs smoothly. As well, we are the first port of call for any queries or problems and we get hold of the Rangers. The main part of the Park, which includes huge areas for picnicking, has been jam packed every day with hundreds of people flocking to the beach every day so what with farm work and the general public to deal with, the Rangers life is very busy and the last thing they need is to sort out minor camping issues. They are a great bunch of people and usually pop in most days to say hi and have a cuppa and a chat, and they have made us feel very much at home. Some of the camp sites set up by families and groups are rather sophisticated with large tents, gazebos to provide shade and living space, lighting, gas powered fridges, shower tents, and anything else you can think of including the kitchen sink!! There are a huge variety of people as well, with people from all cultures and ethnicities which all adds to the colour and liveliness of the camp ground. We had a Tongan church group in over Christmas who serenaded us each evening and woke us each morning with their wonderful singing of carols and hymns. People have been very friendly and generous as well. Oh, and of course there is the Junior Ranger programme that they run here at Shakespear which keeps me busy. I issue booklets to the young people who then fill in the different sections by drawing pictures, answering questions, observe wildlife and generally become educated about life in a predator proof sanctuary. When they have completed their tasks, they return the booklets to me for marking and then they get a badge in return. Some children take their roles as Junior Rangers quite seriously, but also add much fun to the camp atmosphere and they always call out “Hi” to me as they pass me by. We have been persuaded to stay on a little (actually a lot!) longer than we had originally planned and at this stage we shall be leaving here after Waitangi weekend which will mean we leave around the 10th of February. But we have also been conned had our arms twisted committed to coming back for next summer from around the end of November through to the end of March. Having the odd one or two of these helped in making up our minds. Happy New Year to you all, a little late but we have been very slack in keeping up with blog life! Although now trying to think back on what we have been up to, I fear we have not been up to much apart from catching up with family and friends. Antony hosted a BBQ on the 28th December so we all wandered out to his place for the evening. Mike left us the following day for his sojourn northwards. As I had received a small bike for Christmas, as in a 6inch model of a bike with the promise of a real bike, we headed out to the shops to find a suitable model. This is because we in a moment of weakness I agreed to be part of a family team in the next Round the Taupo Bike race!! Hence, I have to get fit ….and get a bike. We found a lovely bike shop nearby where with the shop owner, along with Mike, gave me helpful advice. So I ended up with a “Comfort Mountain Bike” which will be suitable for all sorts of biking, and not just one suitable for the race. Antony had given me a nice pair of headphones for Christmas, so now I can bike along merrily whilst listening to an audiobook. This is of course very good for me and also helping with the rehab on my ankles, for which I am still having physio. 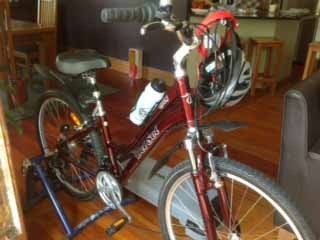 Whilst we are at Jacky & Chris’, I have the bike set up on a trainer so I can happily bike in situ without having to worry about negotiating traffic. 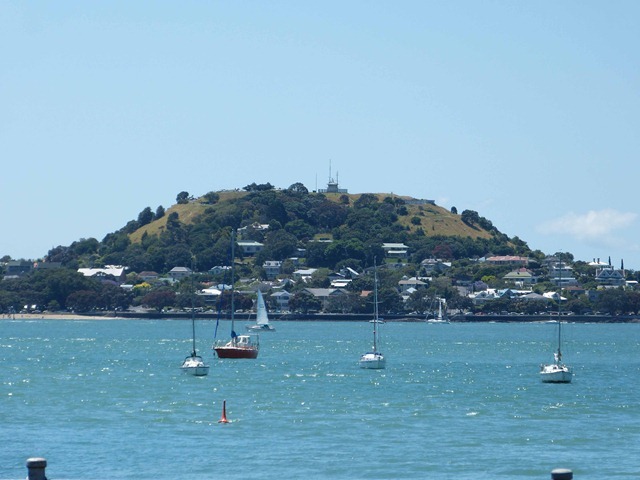 Just before New Year, friends Kevin & Faye from Nelson came to stay and we spent a lovely afternoon wandering along the waterfront, checking out the views from the top of Mt Eden and other general sightseeing around the central city. We ended the day with a relaxing dinner at home. They left on New Years Eve, and after all the excitement of the previous few days we did not stay up to welcome in the New Year and we were in bed by 10pm. 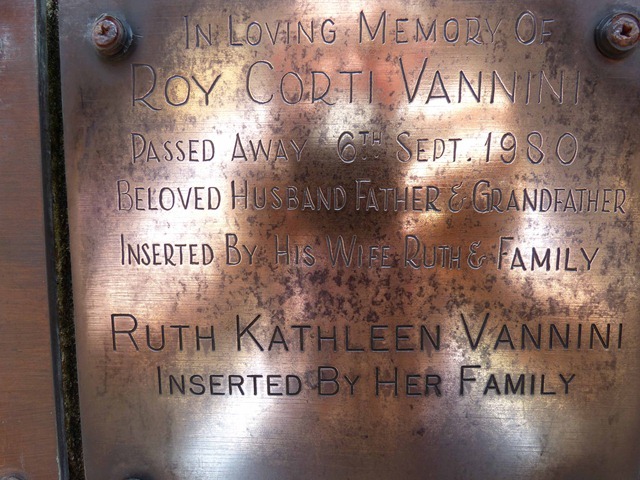 Another day and we headed out to Howick to the cemetery and the Columbarium where Roy’s parents ashes are kept. The plaque was a little tarnished so we spent some time giving it a polish. From there we headed out for a tiki tour (or trip down memory lane) around Howick and Cockle Bay, as this is where Roy grew up. We passed many of his old haunts and we also called in at his parents old property in Cockle Bay where there are now two houses on the 1/3 acre section. We also called past his aunts old property in Pt England where a new house is currently being built. On our way home we called in to see Bill & Estelle for a cuppa and a catch up. Bernice listening to another one of the stories at Bill & Estelle’s. Another day and another trip out and about, this time to Warkworth to meet Roy’s cousin Delyse and her husband Graeme. 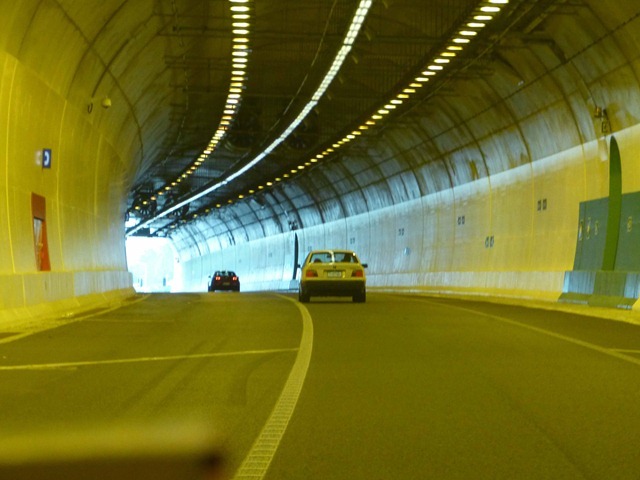 We had not been on the new highway north on the toll road and through the tunnel, so after sorting out payment (all done via the internet) we headed north. Delyse has also been doing a bit of genealogy so she and Roy were able to compare and swap notes. We spent a lovely afternoon with them before heading south again, this time via the old coast road. This time we called in to Wenderholm and Shakespear Parks to view them as possible sites for a camping weekend with Alex and her friends when she is home from London next month. 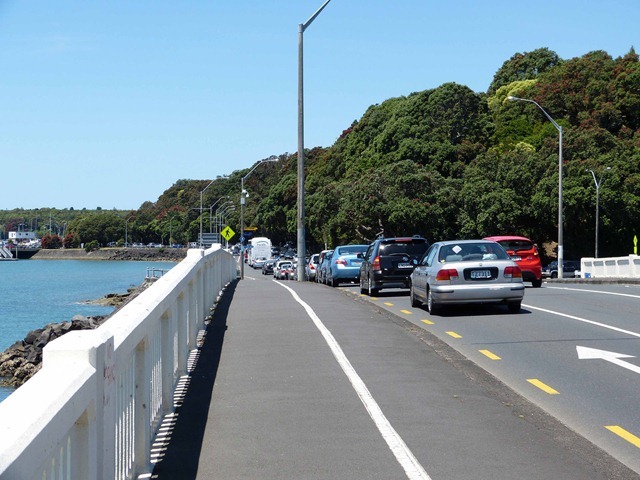 Shakespear Park is looking the most likely spot as we are constrained as to where we may park our van due to size restrictions. 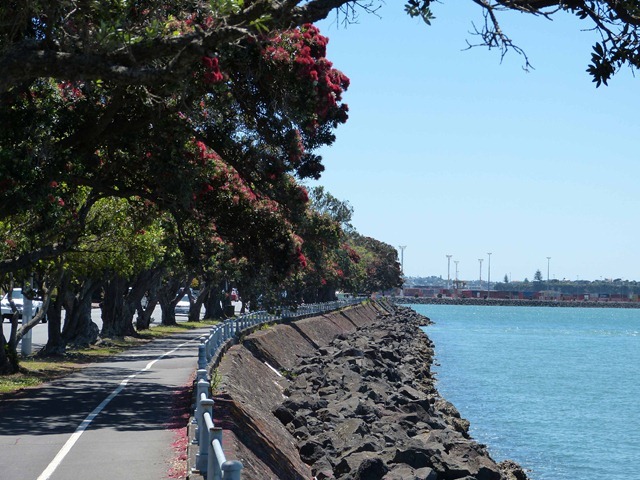 As you can see from the photos, we have been experiencing amazing weather, it has been very warm and humid with a surprising lack of rain – very unusual for Auckland! Long may this weather continue. We have also managed to catch up with Robyn & Alan, friends from when our children were at school together at Parnell Primary. We spent a lovely evening with them reminiscing, catching up with happenings and we will not mention the bottle of rum that Alan and Roy demolished! 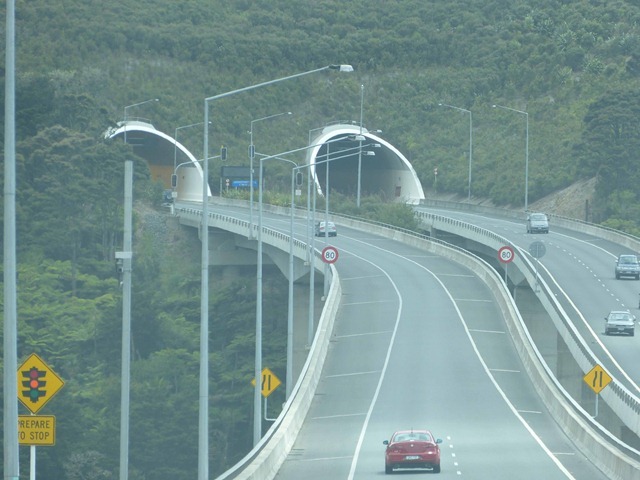 We are now into our last few days of being in Auckland, as we plan to head off on Monday down to Taupo and back to our van ready for a couple of weeks of tripping around before heading back to the Auckland region for Alex’s pending arrival. 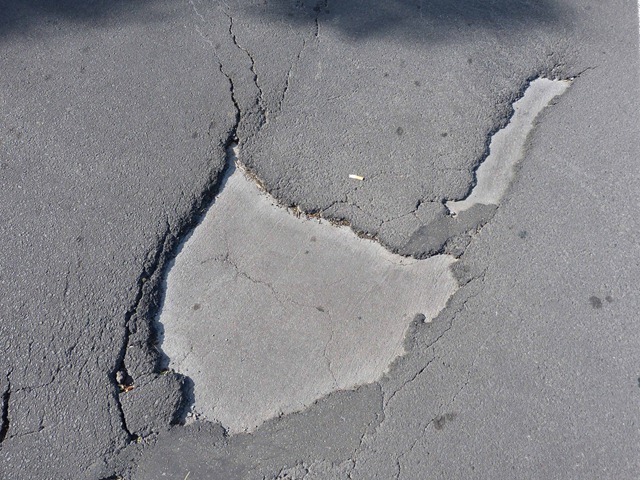 It’s a patch in the tarseal but the shape is interesting…Roy says it looks like a goose that made a bad landing but I say it looks like the map of Tasmania.